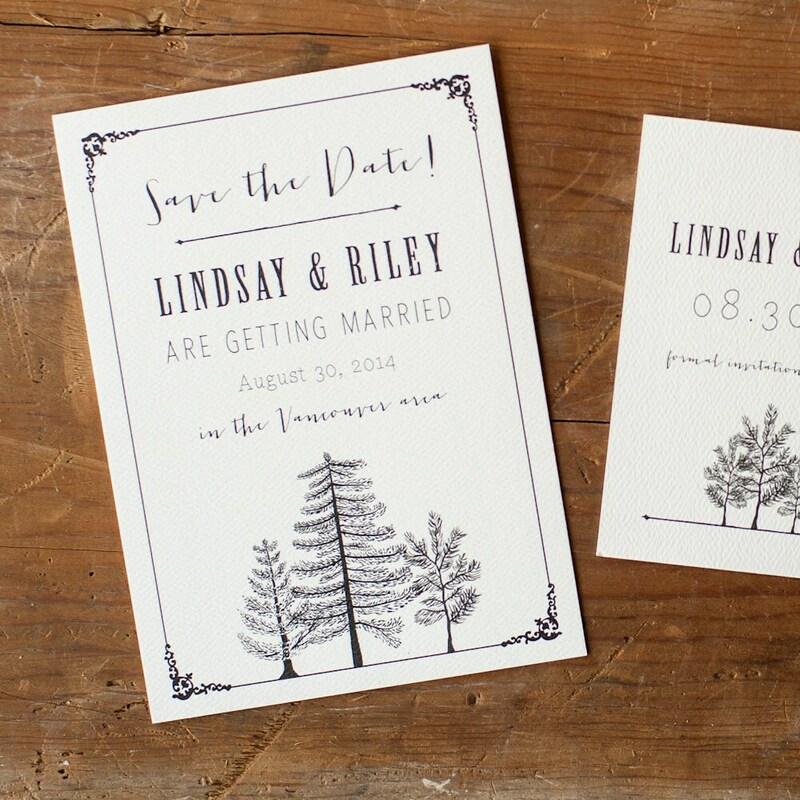 This rustic save the date postcard is a complementary design to our Larch announcement. 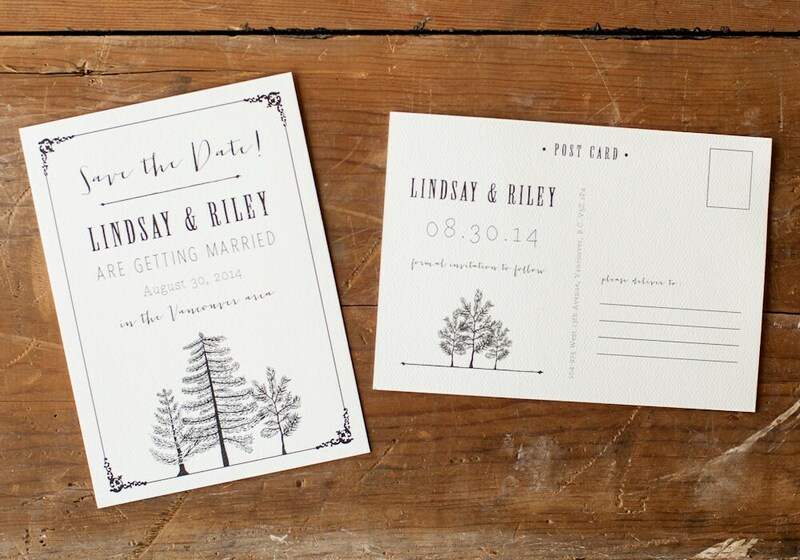 Pictured here on our deluxe cream felt, this elegantly rustic design is a great way to announce your woodland wedding. 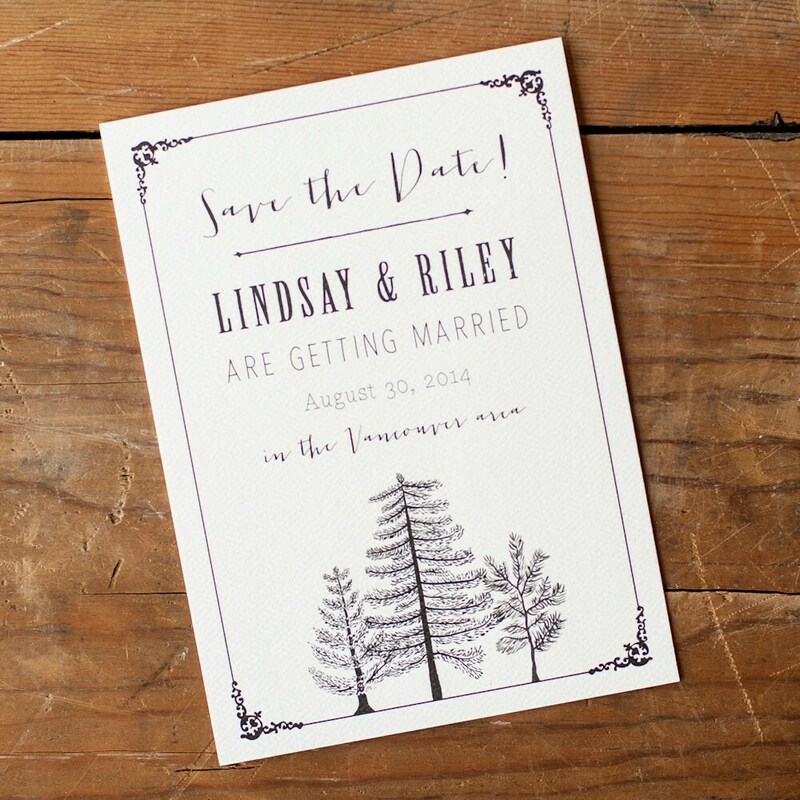 This would be a great save the date card for an outdoor rustic wedding, woodland wedding, or a farm style wedding! **Please note, this Save the Date is sized at 5x7", and will require a first class stamp to mail (NOT a postcard stamp). We cannot vouch for how the USPS will handle your postcards in the mail. If you have concerns about them reaching their recipient looking their very best, we recommend sending in an envelope. 2. Send us your save the date form with all your info: http://form.jotform.us/form/50265822955157 (copy & paste!) Make sure all your info is there, as this will help us proof you faster. Send it right after checkout, and we'll have what we need to get started.